Suffering from involuted or ingrowing toe nails? I can assess and treat the problem, often without surgery. Are you suffering from verrucae? We offer various treatments for this painful and contagious condition. Foot or ankle pain can range from the Achilles tendon area to the toe joints. Get an assessment to find the cause. Fungal infection of the nail can be an unsightly and embarrassing problem affecting your feet. Mechanical injury, back problems and joint conditions can all cause heel pain. Get a diagnosis and specialist treatment. Embarrassed or in pain due to cracked heels? Get this common problem treated and wear your flip-flops with confidence. Ingrowing toe nails are a common foot complaint and can affect people in all age groups. Sometimes people mistake an ingrowing toe nail for an involuted nail. They are not the same thing. Involuted nails curl into the sides and can be painful but have not broken the skin. They become ingrowing once the skin has been broken. The main causes of ingrowing toe nails are poor nail cutting technique and “picking”. Tight shoes don’t help the problem but a sudden trauma to the nail can cause an ingrowing toe nail to start developing. With an initial consultation, I can help diagnose the problem and sometimes help treat the problem without the need for nail surgery. Sometimes nail surgery is the only option and I will discuss this with you at your appointment. 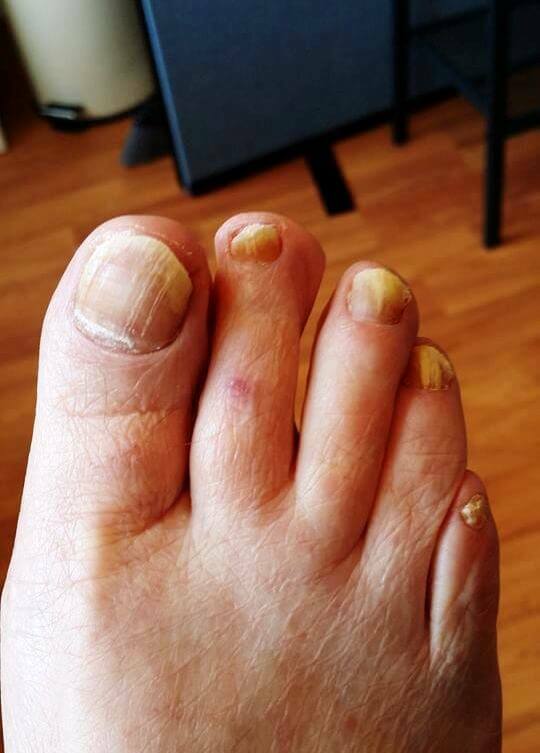 Here you can clearly see the results of our ingrowing toe nail treatment. Contact us now and say goodbye to your ingrowing toe nail. Foot pain can often affect our daily activities like walking the dog, training or playing golf. It can even affect us emotionally. It is essential to find out what is going on before deciding on the most appropriate action. I can help assess, diagnose, treat and when necessary, refer you for further investigation. Don't keep ignoring your foot pain in the hope that "it'll just go away". Contact us to book an assessment. 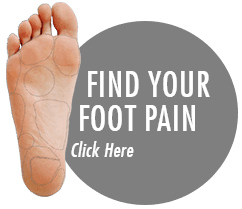 Find out what to expect from a Foot Pain Assessment. Find out more about The Causes of Heel Pain and How to Prevent & Treat Heel Pain. Verrucas are normally treated using acid based treatments available from your local pharmacy. However, if you feel you are not having any luck with these treatments, then you might want to consider Cryotherapy or Needling. Cryotherapy involves freezing the verruca with nitrous oxide gas. Needling is a “multiple puncture” technique carried out under a Local Anaesthetic. Contact Us to find out more about treatments or read more about verrucae. Are you suffering from a fungal infection in your feet? Fungal infections of the nail will appear discoloured, thickened and brittle. The nail can appear white, yellow, brown and even green! I have developed an advanced therapy for treating fungal nail infections. Following an in depth medical assessment, I will carry out a treatment that will gradually treat the fungal nail infection. Treating fungal infections of the nail can be a long drawn out process with limited success. It’s important that you get the correct advice so Get In Touch Now. Cracked heels are something we have either experienced directly ourselves or we notice on other people if you walk behind them! The main reason we develop this problem is through a lack of hydration in the skin on our feet. There are also other factors involved in the cause of cracked heels, including body weight and hard soled shoes. Quite often cracked heels are accompanied by callus around the heel so it helps to have the callus removed first, followed by treatment with heel balm. Here you can clearly see the results of our treatment for cracked heels. No more painful or unsightly heels! Get in touch now and say goodbye to your cracked heels. Want to find out more about feet?